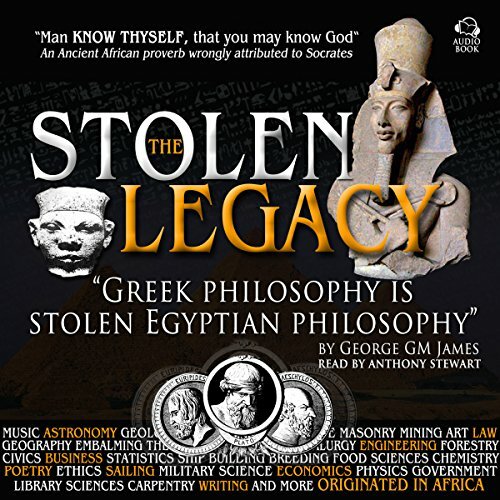 In this classic work, Professor George G. M. James methodically shows how the Greeks first borrowed and then stole the knowledge from the Priests of the African (Egyptian) Mystery System. He shows how the most popular philosophers including Thales, Anaximander, Plato, and Socrates were all treated as men bringing a foreign teaching to Greece. A teaching so foreign that they were persecuted for what they taught. He further shows a comparison of the teachings of the Mysteries to what they taught and with the former predating them the Professor's point is made clear, "In truth there is no such thing as a Greek Philosophy."